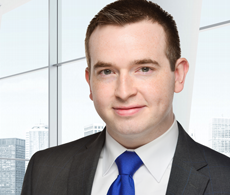 Stephen Zerr is a Senior Accounting Consultant at Hoffman Clark LLC, an integrated certified public accounting and consulting firm specializing in business, intellectual property and financial advisory services. Hoffman Clark provides objective advice across a broad spectrum of issues from accounting and strategy to a comprehensive range of forensic evaluation services. Stephen assists businesses with their financial statement reporting requirements, forecasts and budgeting, tax planning, tax compliance, business valuation and various consulting projects. He also provides tax consulting and compliance services to business owners and high net worth individuals. Stephen also conducts forensic accounting investigations related to allegations of fraud, shareholder disputes, whistleblower complaints, and improper employee activities. Additionally, he has experience in quantifying financial damages in commercial and intellectual property disputes.